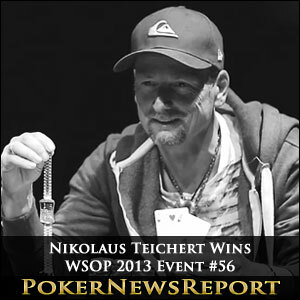 After navigating a massive field of 1,736, Nikolaus Teichert is declared the winner of Event #56 – $2,500 No Limit Hold’em. Fields of over 1,000 are usually reserved for low buy-in events. But this week, over 1,700 players dished out $2,500 to play in one of the final No Limit Hold’em events before the Main Event. Amassing an enormous prize pool of nearly $4 million, Event #56 will be remembered for its massive field and for the rise of an unlikely hero. Nikolaus Teichert, who before yesterday never won more than $70k in a single tournament, would win his first bracelet and bank a whopping $730.7k. The tournament, which saw players starting with 7,500 chips each, was scheduled to last three days. 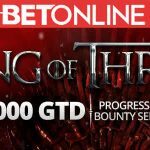 However, at the end of ten levels of play on Wednesday, players were given the option to bag their chips and continue playing the next day. 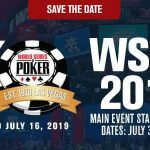 Poker, like so many other sports, is a game of momentum, and at the conclusion of play on Wednesday it was clear that runner-up Vincent Maglio was poised to run over the significantly older Teichert. But Teichert, who had a slight chip lead at the time, realized that he was playing less than optimally and elected to call it a night. The decision would prove wise, as the newly rejuvenated European would only need 25 hands to finish off young Maglio. Although the final table featured some fantastic play, the only real notable present was two-time bracelet winner and third place finisher in the 2005 Main Event, Josh Arieh. By far the most experienced player at the time, it took a bit of a cooler for Arieh to be eliminated in fifth place. Holding A♣9♦, Arieh jammed on a A♥K♦10♥ board. He was quickly called by Maglio, who tabled Q♦J♣ for a flopped straight. Arieh was drawing nearly dead, and failed to improve. 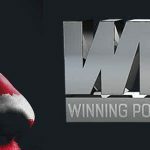 Other notables who cashed in the tournament were Main Event runner-up Jesse Sylvia, 2011 Main Event champion Pius Heinz and the resurgent Eric Seidel. Europeans, who tend to show up late in the summer, dominated the multi-cultural final table. Little known fact: Of the past 10 Main Event champions, none have won a second bracelet. Carlos Mortensen, who won the Main Event in 2001, was the last champ to win a bracelet, doing so two years later. 2009 champion Jonathan Duhamel had a chance earlier today, but was bounced in 8th place from the Players Championship. At least for now, it looks like the curse of the Main Event winner will continue until at least 2014.